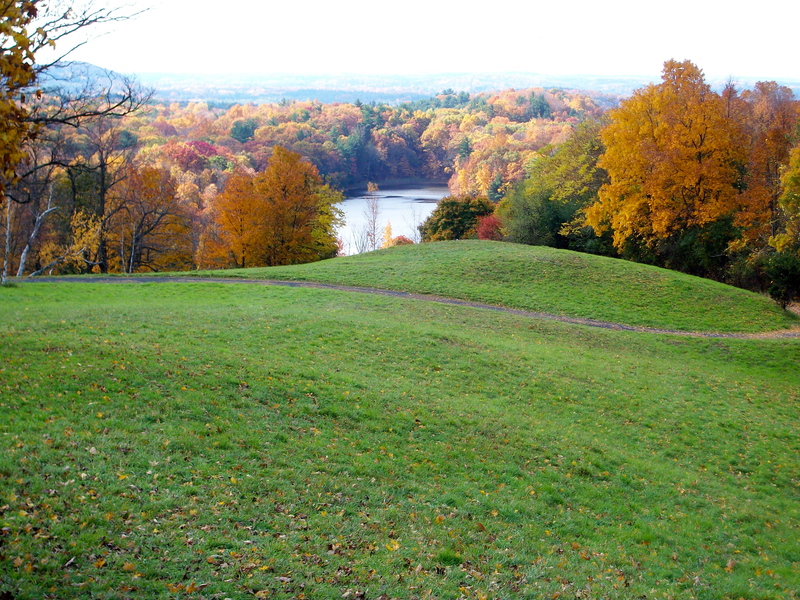 One week before hurricane Sandy hit, we had an absolutely bucolic experience in the town and environs of Hudson. Being a transplanted easterner living in the southwestern United States, as well as a landscape painter, I longed for the soft green and dramatic splendor of Hudson valley October: the fall colors. I set out to visit “Olana” the home estate of 18th century landscape painter Frederick Edwin Church. This was not just some estate. The spring fed lake in the distance, the majestic Hudson river in the distance, it is all a fine drama not to be believed. The glory and the power of nature. No surprise that Mr. Freddy was inspired to paint thrilling and meticulous monumental landscapes in oil, such as “Twilight in the Wilderness”, 1860. 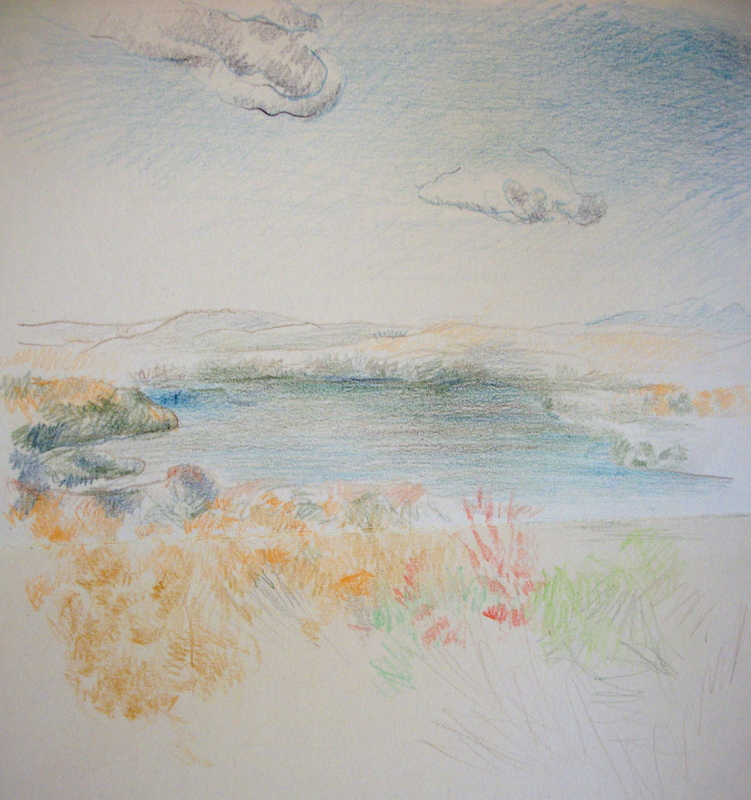 Sitting on a rustic bench facing the lake and river, I humbly sketch a little notation of the seemingly still pristine view, and thank the keepers of this beautiful place in our world. My heart goes to all of the displaced and adjusting victims of Sandy, and hope for adjustment and peace. sweet sweet sweet. thanks so much for this beauty, including your lovely sketch….my heart longs for that world.